If you’re looking for a savoury appetizer that you can make ahead, you might want to give this a try. 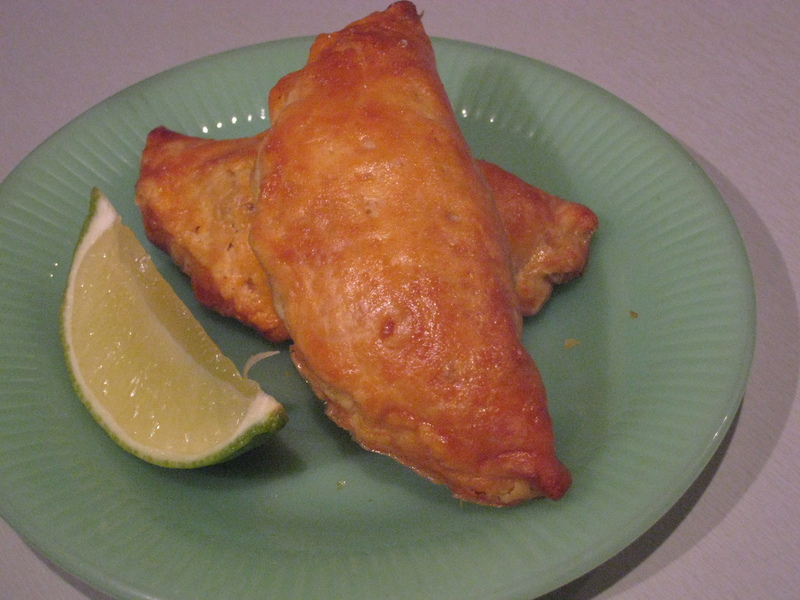 This recipe is an amalgamation of the empanada recipes I found on the internet – I put together all the elements that I thought would work well together. And how can you go wrong with flavourful meat-filled pastry? You can make the filling and pastry ahead of time, then assemble and bake them right before you need them. 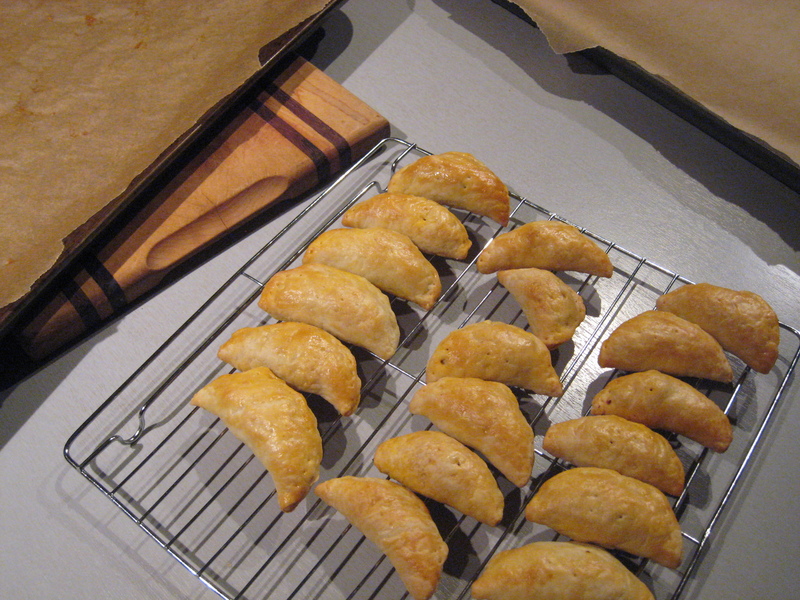 Alternately, you can make them days or weeks ahead of time, then pop them in the oven right out of the freezer . This is great for the times when you suddenly need something the serve and don’t have time to do any cooking. 1. To make the pastry, blend the cold butter into the flour and salt with a pastry blender or your fingers. Mix the egg, water and vinegar, and add them to the flour mixture. Mix with a wooden spoon until combined, then wrap in plastic wrap and refrigerate for at least an hour. 2. Cook onion in oil until slightly browned, then add peppers, carrots and garlic, cooking for a few minutes. 3. 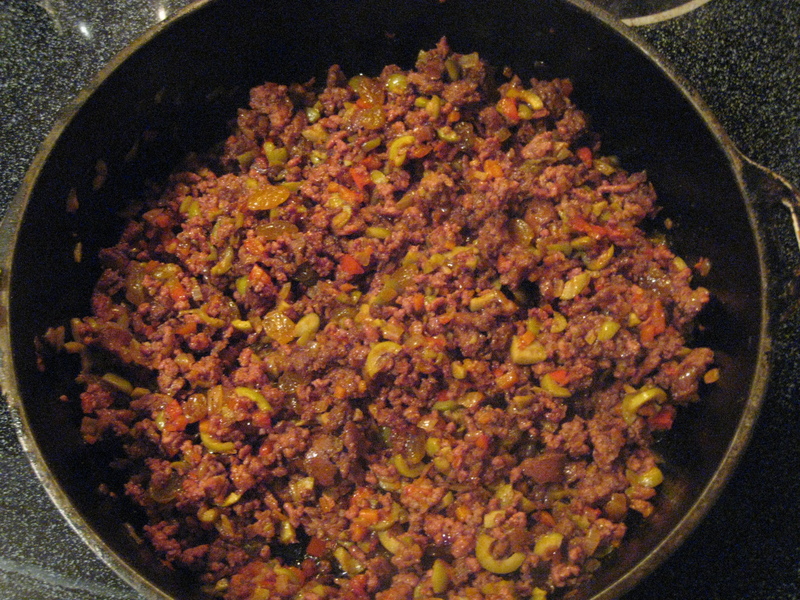 Cook the beef along with the chorizo, in another pan. Break it up as it cooks so the meat is in fine pieces. Drain excess fat, then add to the vegetable mixture. 4. Add optional wine and simmer for a few minutes. Then add cumin, paprika, olives, raisins, honey, pepper and a few dashes of hot sauce. Simmer until very little liquid remains. 6. Roll out dough to about half a centimetre thick. Cut into circles with a cutter or bowl. 7. Using your finger tip dab a little water along one edge of the rounds. This will help the pastry stay sealed. 8. Place the pastry in the palm of one hand, fill it, then lightly pinch it shut. To seal you can make a folded edge or close with a fork. 9. Combine the egg with a little water, then brush onto each pastry. Poke a few holes with a fork into the top of each pastry. 10. Bake at 400C for 20-25 minutes, until golden. 11. Serve hot with lime wedges. Squeeze a little lime juice on top right before it goes into your mouth!